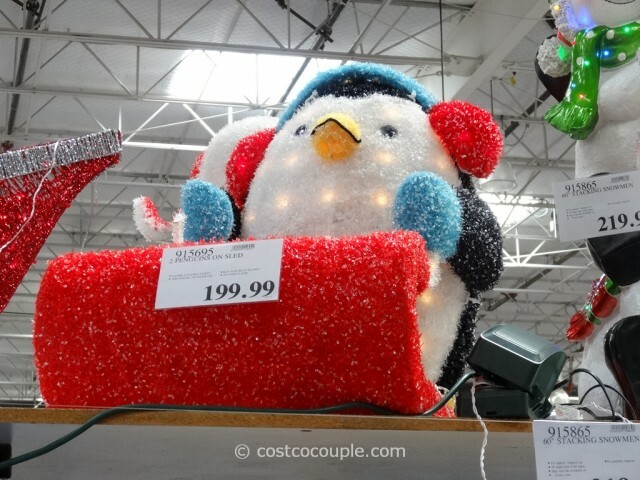 Cute penguins alert! 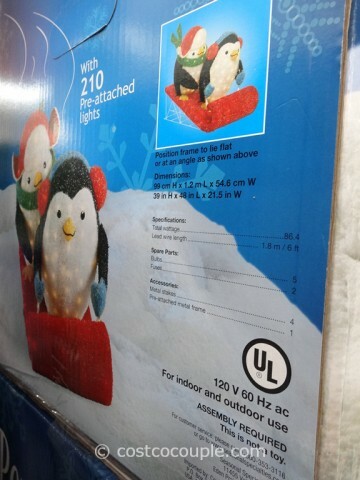 The Penguins On A Sled make for a great whimsical holiday display. 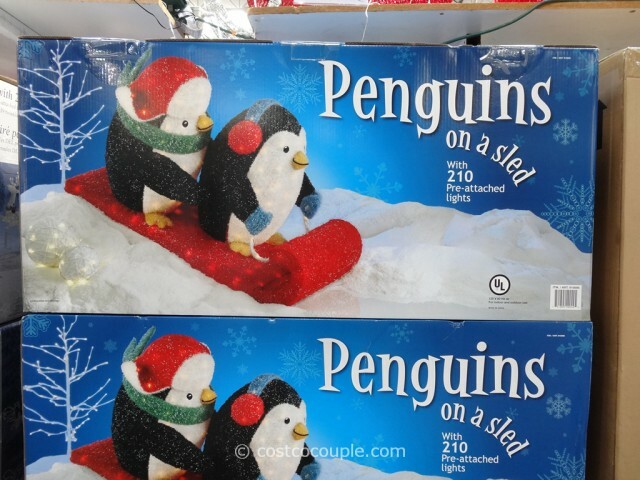 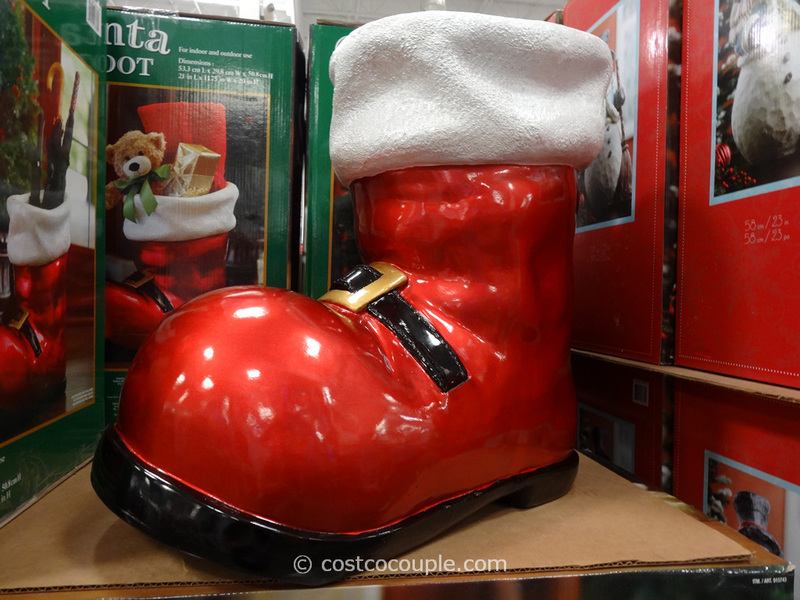 The display depicts two penguins having fun on a red sled. 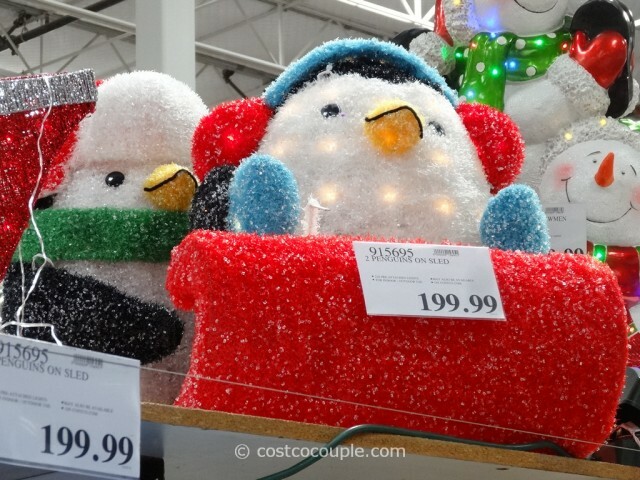 The birds are accessorized with a hat and scarf in one case, and earmuffs in the other. 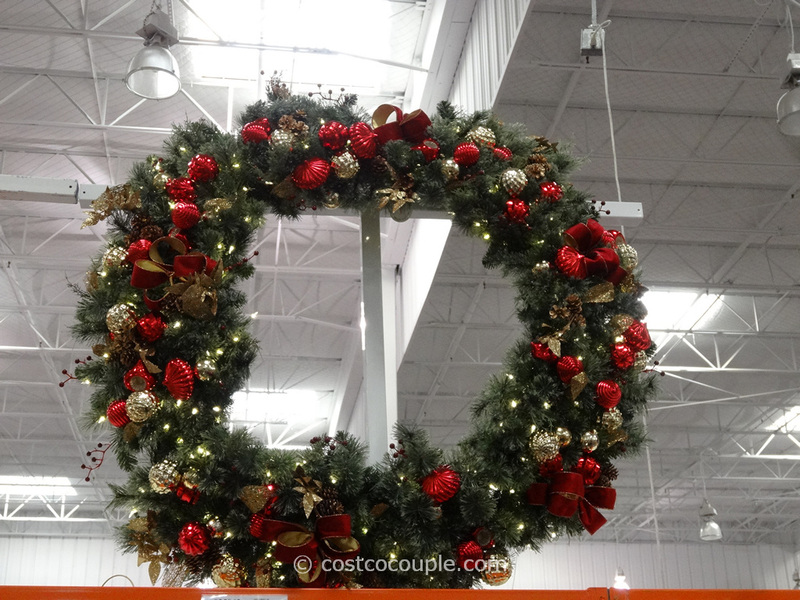 The display is 30.5″ high so it will be easily seen from a distance. 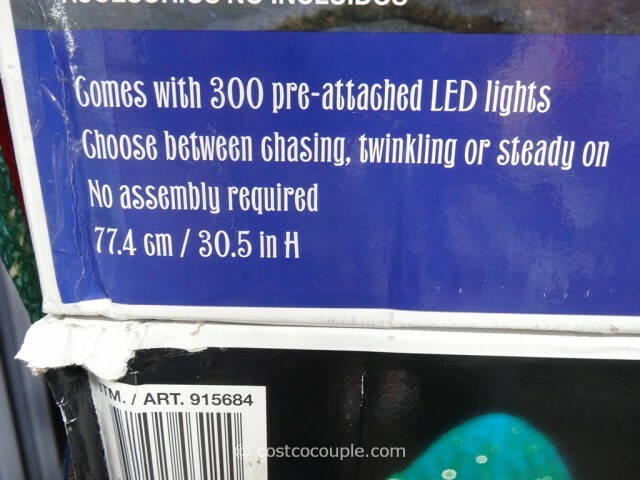 There are 210 pre-attached lights, so you don’t have to string any bulbs. 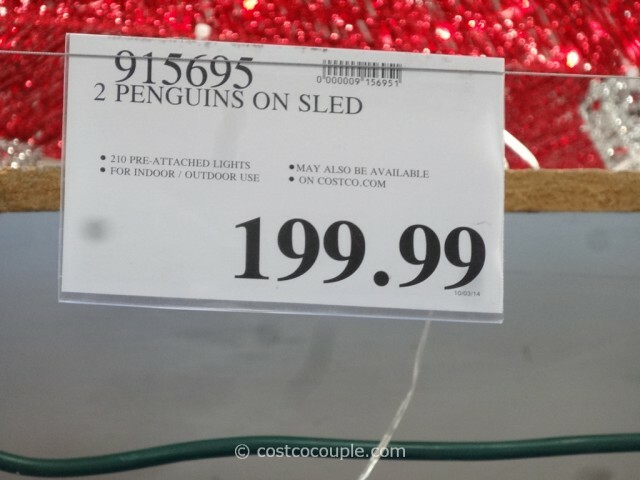 The Penguins On A Sled are priced at $199.99.